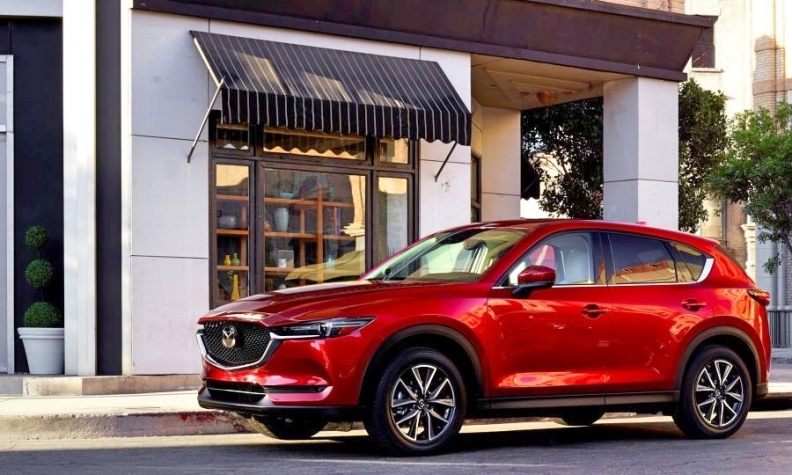 This fall, the Mazda CX-5 will come with a 2.2-litre diesel engine. Certification took lon- ger than expected, but won't affect introduction plans. While Volvo promises to go all-electric by 2019, the future of diesel light vehicles in North America remains uncertain as the Volkswagen emissions scandal ripples through the industry. Two major automakers have dropped diesels entirely, but others soldier on. Analysts suggest there is a small but steady demand for diesels in North America, but the VW scandal and technological evolution have dimmed prospects for growth. er until 2015, when U.S. regulators accused the German automaker of using engine-management software to give lower emissions readings during lab testing than when driving on a road. Since then, other automakers, including Mercedes-Benz, General Motors and Fiat Chrysler (FCA) have also been accused of cheating. VW Group announced last November it would drop Volkswagen and Audi diesels from its U.S. and Canada lineups as it shifts towards higher-efficiency gasoline engines and zero-emission electric vehicles. Mercedes-Benz Canada told Automotive News Canada last year more stringent emissions testing by the U.S. Environmental Protection Agency (EPA) was delaying delivery of 2017 diesel models by up to two months. With no apparent end in sight, Mercedes in May dropped diesels in Canada and the United States for at least this model year. It’s not clear whether Mercedes-Benz, like VW/ Audi, will bail out of diesels entirely. But other automakers suggest they’re not deterred by the regulatory crackdown. to impact our launch plans,” she said. Lindo said the 2017 Jaguar F-Pace SUV and XE and XF sedans using its 2.0-litre diesel, along with a new Land Rover Discovery diesel, went smoothly through certification to reach dealer showrooms. Turbo-diesel versions of the 2018 Chevrolet Equinox and GMC Terrain are on schedule to arrive later this summer, GM Canada product and technology spokesman George Saratlic said. FCA, being sued by the U.S. government over cheating allegations, has applied for certification of its V-6 diesel used in the 2017 Jeep Grand Cherokee and Ram 1500 pickup, using updated emissions software that will also be installed on 2014-’16 models. An FCA Canada spokesman would not say how the process was going. BMW Canada said it experienced a modest delay with certification in 2016 but 2017 model-year diesels still made it to market last fall. It’s too early to comment on 2018 models, the company said. Even if the clouds of the VW scandal dissipate, automakers might at some point decide to cut their losses on diesel’s narrow North American beachhead. Diesel retail sales amounted to only about two per cent of total U.S. market the last two years, perhaps slightly more in Canada. well from a consumer’s standpoint,” said Brian Murphy, vice-president editorial and research at Canadian Black Book (CBB), in an interview. Recent polling suggests there’s still some appetite for diesel vehicles because of their superior fuel economy, said Murphy. of diesel models to slow as supplies dry up because of automaker market withdrawals. “So that is actually good for used prices over the long term,” he said. But automakers may find meeting more stringent standards represents a diminishing return in a relatively small market niche. “As the regulations tighten there’s a step where the cost and the impact on the vehicle configuration probably becomes non-economic,” said Doug Betts, senior vice-president of global automotive research for J.D. Power Associates of Costa Mesa, Calif.
Murphy agrees, saying that diesel is also beginning to lose favour in Western Europe, where big-city mayors want to limit its use.